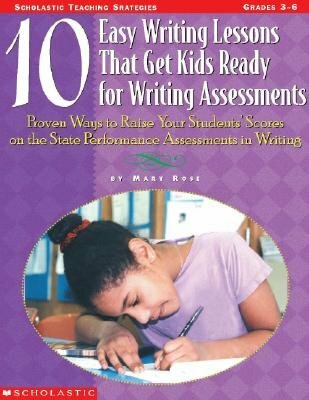 With these lessons, you've got what you need to teach students to write effectively and raise their test scores. Easy, sequential lessons mirror the kind of writing students will be asked to do on the tests. Through fun writing prompts such as memorable haircuts and how to eat an Oreo cookie, students learn to craft a five-paragraph essay, organize a story, write an effective expository piece, add elaborations, master persuasive writing, and more. For use with Grades 3-6.